The Northwest of Argentina has numerous sugar industries, and about 99.5% of the total sugar production is concentrated in the provinces of Tucumán, Salta, and Jujuy. Integrated sugarcane factories (sugar mills coupled to a bioethanol distillery) are common in our country. The liquid fraction generated from rectification and distillation operations of bioethanol, known as vinasse, is not itself a hazardous waste, but because of its complex composition, it is considered potentially dangerous. The province of Tucumán has achieved a substantial improvement with regard to the vinasse spills onto watercourses near sugar-alcohol industries. However, millions of liters of effluent are annually accumulated in open-pit pools to the limit of their capacity, threatening the sustainability of the ecosystem. A variety of physicochemical and microbiological technologies is continually evaluated to mitigate the environmental impact of vinasse. However, microbiological conditioning of distillery effluents has been reported as effective and eco-friendly. Particularly, fungal technology has made great contributions to the treatment of vinasse since fungi possess an extraordinary ability to digest complex waste materials. Additionally, fungus-based processes offer the possibility to obtain value-added products from waste materials. 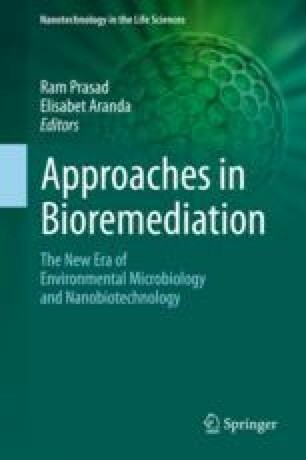 The present chapter provides an overview of the current scope of fungal technology applied for treatment of vinasse. Additionally, the first advances on the potential of an autochthonous fungal strain to degrade a local sugarcane vinasse sample are discussed. The present study has been supported by Agencia Nacional de Promoción Científica y Tecnológica (ANPCyT) (PICT 2015 N° 0292) and CONICET.